Jeffrey S. Altman of The Altman Law Firm is a Miami Medical Malpractice Lawyer that focuses on permanent injuries and Wrongful Death resulting from the medical negligence of a doctor or a medical facility. Medical facilities could include a doctors office, urgent care center, hospital or surgical center. Medical Malpractice or Medical Negligence occurs when a hospital, physician or other responsible person or entity causes injury to a person because of failure to provide care and treatment consistent with the established standards of care. Miami, Miami Shores, North Miami, North Miami Beach, South Beach and Aventura have a large number of practicing doctors and hospitals. 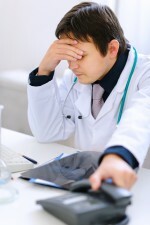 As a consequence, there are a large number of Medical Malpractice lawsuits filed each year. Often this Medical Malpractice results in Catastrophic Personal Injury that includes Traumatic Brain Injury or Wrongful Death. Some examples of Medical Malpractice include Failure to Diagnose a Medical Condition, Failure to take proper course of action following diagnosis, error during child birth and failing to perform a surgery or other procedure with the proper standard of care causing additional injury. There are many other types of cases of Medical Malpractice and if you would like to discuss your case or the case of a loved one, please contact Jeffrey S. Altman. As with any injury case, one of the most important part of a medical negligence case is the prompt gathering and expert review of evidence. When we accept a Medical Malpractice case, The Miami Personal Injury Law Firm of The Altman Law Firm retains appropriate experts such as expert nurses, doctors and rehabilitation specialists to provide expert testimony explaining what the appropriate standard of care is and if that standard was met. This is imperative in Florida because the law requires that an expert, in the same medical field as the doctor accused of negligence, provide sworn testimony detailing the negligence before a lawsuit can be filed. Furthermore, Florida Law requires that an injured person cannot file a lawsuit until that person participates in a Pre-Suit process. Jeffrey S. Altman and the Miami Law Firm of The Altman Law Firm have been handling these types of injury cases since 1998. We handle Catastrophic Personal Injury, Traumatic Brain Injury and Wrongful Death cases throughout the State of Florida. This Personal Injury Law Firm is located in Miami with quick and convenient access from North Miami, Miami Shores, North Miami Beach, South Beach and Aventura. If you need the advice of a MIami Medical Malpractice Lawyer, please call or email for a Free Case Evaluation to 305.373.3730 or jaltman@altmanlawfirm.com.